We all know that New York is not the cheapest city in the world. You have to be financially savvy to survive in the urban jungle. Luckily, spending less on your copier doesn’t have to mean sacrificing quality. 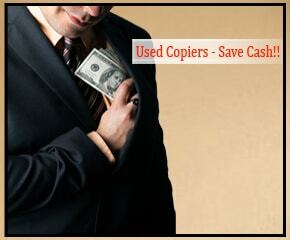 At NYC Copier we offer the best used copiers in NYC to get you the best for less. Our used copiers are a fantastic option for those who need something for their business, but who don’t want to be stuck on a long-term lease. Used copiers don’t have to be run down machines for those with no other solution. At NYC Copier we make sure that all of our used copiers are still in great running condition. We do this by working with companies who followed their leases before they were returned. This means that they took care of their machines during their leases, so you have nothing to worry about. A used copier can be the perfect solution for someone who is nervous about making continued monthly payments. You may not know where you are going to be in a few months, let alone a few years. Used copiers give you the ability to get what you need, without having to worry about a commitment. Used copiers will have more expensive price upfront, but will save you money in the long-run. You just have to drop a lump-sum up front, and then you can walk away. You could also choose to keep working with our staff at NYC Copier if you need help. We can set you up with maintenance help or consumable contracts, even if you aren’t on a lease with us. So give us a call today to get a great deal on a fantastic used copier. We can help you get exactly what you need without breaking the bank. Give us a call today at NYC Copier.